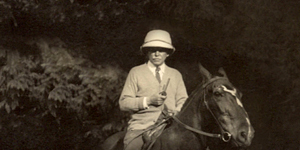 By 1917 George H. Cowan had bought over 1,000 acres in the southeastern part of Bowen Island, including Pointe Cowan. He built eight cottages to rent to friends, and farmed 12 acres of the land. Until a passable road to Snug Cove had been developed, a government dock at Seymour Bay allowed supplies and mail to be brought to Cowan Point. A small commissariat and post office also served the small community. In 1923, a piece of land at Union Cove was sold to William H. Malkin. In 1930 the Cowans sold 234 acres to Mrs. B. T. Rogers, who built “a Bavarian-style lodge…and called it Fairweather” (Irene Howard, Bowen Island: 1872-1972, p. 66). The property accumulated by George H. Cowan was held by the Cowan-Rogers family for almost three-quarters of a century. During that time, the Cowan Point lands were the subject of several comprehensive development proposals, all of which for a variety of reasons did not materialize. In the 1990s most of the lands were sold to a developer who subdivided 38 residential acreage lots at the northwest entrance to the Cowan Point lands. 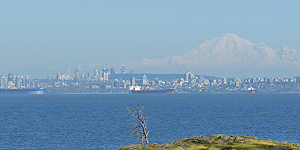 In 1998 that developer went into receivership, and instead of entering into a liquidation process, the primary lenders of the project (Operating Engineers’ Pension Plan) offered to enter into a one year publicly-driven planning process because they were aware that a wholesale auction of the lands would have a significantly negative effect on the future of the south side of Bowen Island. A wholesale disposition of the lands would virtually destroy any chance for a comprehensive plan, including planning for roads, long-range provision of domestic water, sewage disposal, public open space, stormwater control, protection of environmentally sensitive areas, and so on. For more about the early years at Cowan Point, visit the page about Cowan Point on website of Bowen Island Museum & Archives. 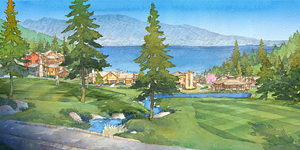 What started as a 12-acre farm and 8 cabins has grown into a group of residential neighbourhoods with a public golf course, parks, and trails — with an inn/resort and retreat centre still to come. Historic government dock at Seymour Bay. In 1999 Bowen Island Properties acquired close to 500 acres of the Cowan Point lands, and was able to keep the comprehensive planning process alive for those properties. Unfortunately the proposed rezoning as accepted for the preparation of bylaws by the Islands Trust ran into difficulties during the transition from the Islands Trust when Bowen became a municipality. In the end, it took 4 years (and several modifications to the comprehensive plan) for the Cowan Point property to receive rezoning. Cowan Point Drive, the connector to Fairweather Road, and Arbutus Bay Lane were constructed and dedicated as public roads. In 2005 the nine-hole public golf course was opened for play. 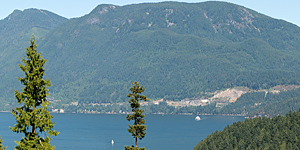 It is operated by Bowen Island Golf Association on land owned by Seymour Bay Foundation. In 2006 the perimeter trail around the golf course was completed, and is being enjoyed by people from all parts of the island. In 2007 construction of a new dam at Josephine Lake and a slow sand filtration water treatment plant was completed. In 2008 the sewage treatment plant began operation, and the roads giving access to newly created single-family lots at Blue Sky Circle, Fairway Lane, Seymour Bay Drive, and Russell Lane were completed. Since then, much further work has been undertaken to extend the roads and utility lines to the north (McIntosh Lane) and northeast to the waterfront lands of District Lot 2448, District Lot 2449, and Seymour Landing above Seymour Bay. The market meltdown in 2008 slowed down the sale of lots. However, the “respite” of the following years has given us time to think — and the longer it takes, the more we appreciate the special qualities of Seymour Landing. Over time, our conviction has grown stronger that, given its unique location and physical qualities, Seymour Landing is too precious to be simply carved up into two dozen single-family lots. That is the reason for the current rezoning application. 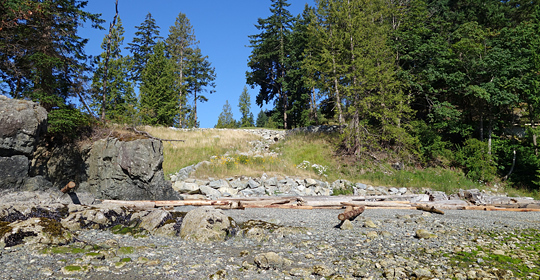 Note: A number of facts about the history of Cowan Point are taken from Bowen Island: 1872-1972 by Irene Howard (Bowen Island Historians, 1973). 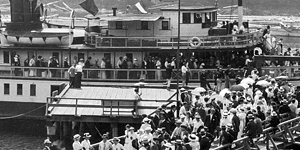 Top three photographs on this page are courtesy of Bowen Island Museum and Archives.